On The 21st: 2017 saw some sizable federal tax code changes passed in DC. 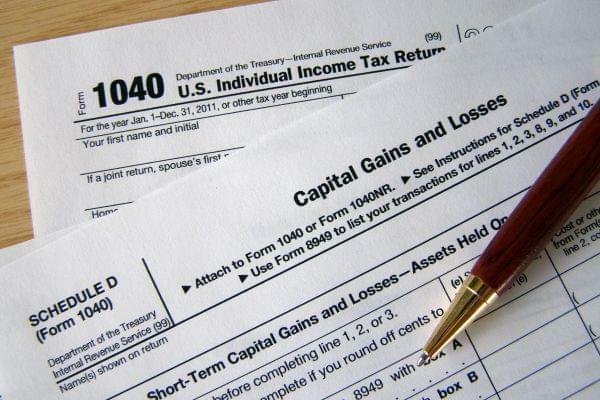 This coming tax season will be the first since it’s taken effect, so what can Illinois taxpayers expect and prepare? Plus, most parents out there know how hard it can be to help children with their homework. A new program in Champaign called the 'Parent Lab” is helping tutor parents so that they have the right tools. Also, Governor Pritzker has signed eight executive orders since his term began three weeks ago. We’ll break down what’s new and what these orders say about Pritzker’s administration. Your taxes aren’t due until April 15, but it’s never too early to get started. That's especially true this time around because there have been a lot of changes to the tax code. For starters, it’s the first tax season when the federal tax cut, passed late in 2017, will actually take effect. Also, for 35 days, starting in December and going well into January, IRS employees worked without pay during the government shutdown. We were joined by a couple of Illinois tax experts who gave us their tips for this time of year. Carme Gregory has more than 45 years of tax experience. She’s a tax advisor with H&R Block in Sycamore, in DeKalb County. We also spoke with Drake Zimmerman, principal for First Allied Securities in Normal. "We've had customers for years who have been able to write off their employee deductibles...None of those qualify anymore." If you’re a parent or grandparent, you know how hard it can be to help children with their homework. Now, a new program in Champaign called the 'Parent Lab' is helping tutor parents so that they have the tools for helping their kids. Tonight at the Booker T. Washington school library in Champaign, families will be able to grab a meal and sign up. They will also have a tutoring orientation for those who are interested. This all starts at 5:30 p.m. Joining us in our Urbana studios to tell us more about this program we had Katina Wilcher, director of student, family and community engagement for Unit 4 Schools. Also with us was Amanda Harris, she’s manager of Project READ at Parkland College. The legislative session in Springfield is in full swing, and Governor JB Pritzker is just beginning his fourth week in office. With majorities in both chambers, Democrats have been trying to pass laws that fit their priorities. These include laws that didn’t make it past Governor Bruce Rauner’s desk last year, and laws that they didn’t introduce because a Republican was in the governor’s seat. We spend a lot of time breaking down the state laws that affect us across the state, but there’s also another way that governors can try to move the needle on their agendas: executive orders. So far, Governor Pritzker has signed eight of them. How does all of that work, and what do they know about where the Pritzker administration is headed? Joining us we had Amanda Vinicky, correspondent with WTTW Chicago Tonight. Joe Bustos also spoke with us, he’s a reporter with the Belleville News-Democrat. @AmandaVinicky, correspondent at @wttw says Governor Pritzker still in a honeymoon phase. "We're still waiting on the meat. Some of these executive orders are relatively small."